The 2017 Jacksonville Area Quarterback Challenge presented by DeBartolo Sports and Events highlights quarterbacks from across the state of Florida. The competitive event will showcase an individuals quarterback skills in standardized challenges that objectively evaluate and score each athlete. The top two scoring quarterbacks from each grade will advance to an Elite Passer competition. The top performer from this final round will be awarded a trophy and the official title of "Top Passer". Participants receive apparel by Under Armour and video of themselves from the challenge drills. Prizes will be awarded to the top 2 performers from each class. Space is limited and preregistration is required. No walk-ups will be accepted. All cancellations and refund requests must be received 7 days prior to the event. NO EXCEPTIONS. No refunds will be issued after this deadline. Please notify DeBartolo Sports and Events by way of email or phone call. 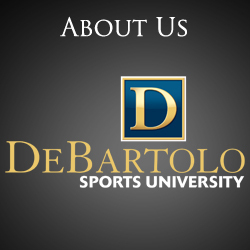 For inquiries, please email contact@debartolosports.com or call 657.200.1378.